Does your HVAC Contractor offer Air Conditioner Fine Tuning Service? Whether your AC is 10-years old or the most contemporary model in the market, they all have to undergo a tune up after some weeks of operation. The advantage of rental units is that the preventive maintenance is part of the package offered by the contractor. However, are you aware that not all HVAC contractors offer fine tuning services as part of the package. Clients have to specifically choose the package to ensure that their rental services are not interrupted. What is a fine tuning operation? Every AC is different from the other, by virtue of its brand, components used, technology installed and the quality of ductwork installation. Time and again, an AC may require certain degree of fine tuning, especially if it has just started producing noise and vibration. 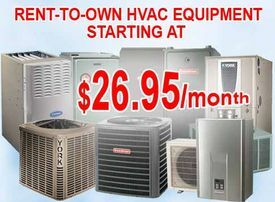 In order to keep the AC in running condition as if it was new, it is important to go for fine tuning in every 90 days. What does a fine tuning of AC involve? Fine tune-ups for furnace and air conditioner help in detecting minor issues before they cause major breakdown. HVAC contractors in Toronto, who offer fine tuning services for owned and rented units recommend regular inspections to prevent costly breakdown maintenance, minimize energy bills and ensure optimal service during the peak season. Fine tune-ups can save up to 15% on energy bills, especially when the furnace air conditioners run for more than 10 hours. Another advantage of doing a fine tuning as preventive maintenance measure is to avoid safety hazards. Furnace air conditioners are susceptible to leakages from the flue line, ductwork installation faults and electrical wiring faults. It could lead to Carbon monoxide poisoning, pollution and foul air. Why involve a professional HVAC contractor in AC fine tuning? The first reason is obviously that the HVAC contractors offer professional services related to fine tuning. They could be included in the package or as an exclusive service. The professionals have expertise in handling various brands of AC and furnace Mississauga, each of which could be suffering from a particular type of technical issue. Thanks to their experience, the HVAC technical inspectors and professional service providers save cost, time and material. Compared to the DIY procedures, hiring a HVAC engineer to fine tune the AC can save anywhere between 4-5 hours, and in return the clients can derive a stress-free running from the unit. All fine-tune operations ensure that there is no breakdown of the furnace AC during the peak seasons.